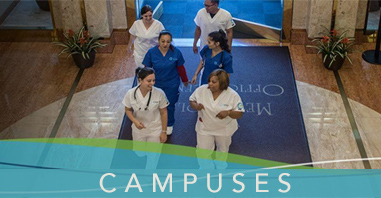 Looking for a Medical Assistant Trade School in California? Finding a career that will generate income and also give you a sense of fulfillment is no easy task. Careers in the healthcare field may be demanding, but they give individuals an opportunity to serve in their communities as health educators and practitioners, helping heal people of all ages. If you’re interested in healthcare careers but lack the time to pursue an advanced degree, Medical Assistant trade school might be the ideal choice for you. In less than one year, you can be fully equipped with the academic and practical knowledge that’s necessary to obtain meaningful employment in a clinic, hospital, physician’s office, hospice, or other healthcare environments. At Unitek College, Medical Assisting students will graduate from school with the administrative and technical skills needed to make a smooth transition from school to a career as a Medical Assistant. Is Medical Assisting right for you? Before committing both your time and finances to this endeavor, it is important to ask yourself a few key questions. Medical Assistant Trade School – Do You Like to Help Others? One of the most crucial questions to ask yourself is, how would you like to help others? Many individuals enter healthcare because they want to “help people,” but after interacting with patients some realize that they do not like playing a “hands-on” role. Medical Assistants spend the majority of their day interacting with and bringing comfort to people who are ill. Hospitals and clinics are demanding places to work, not just physically but emotionally as well. Before investing in a Medical Assistant trade school, it is vital that you consider your ability to work in demanding environments. Medical Assistants work as part of a larger team comprised of nurses, physicians, and, in some cases, social workers, physical therapists, and healthcare administrators. Ask yourself, are you comfortable interacting with healthcare professionals on a team? The responsibilities of a Medical Assistant are varied and include administrative duties including scheduling appointments, handling billing and collections, and updating patient charts. A Medical Assistant is then expected to switch gears quickly and perform various clinical tasks, such as taking medical histories, sterilizing instruments, preparing patients for exams, and aiding physicians throughout the patient’s visit. If the role and responsibilities of a Medical Assistant sound exciting instead of draining, it is worth looking into Unitek College’s MA program. 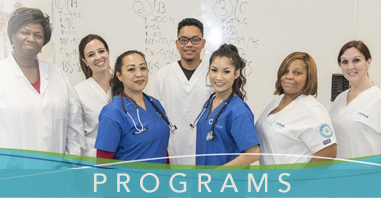 With seven campuses throughout California, Unitek offers a comprehensive yet convenient educational program for the Medical Assistants of tomorrow. https://www.unitekcollege.edu/wp-content/uploads/2017/07/unitek-college-logo-01.svg 0 0 Alyssa Jordan https://www.unitekcollege.edu/wp-content/uploads/2017/07/unitek-college-logo-01.svg Alyssa Jordan2018-08-07 14:50:182018-08-15 17:03:55Looking for a Medical Assistant Trade School in California?